During the Gulf war, 10 km from Tel-Aviv as bombs are dropping on the city, a Luna park called Israland is being built. The film tells the story of a few of the characters (Israelians, Palestinians and Germans) taking part in the construction of the site. Their only common denominator is their work : the building of the Luna park where hatred is omnipresent. Israland is the provisional name of a huge project south of Tel-Aviv in Israel. The film of the same name was shot on the project construction site during the Gulf War. Israland is a mosaic of several opposing characters. Their only point in common is their workplace – the construction site. Joseph, the night watchman sits on a pile of sand, listens and comments the news on the radio. "There are more accidents than wars... We are not afraid..."
Avi, an Israeli machine operator, speaks of war and of hatred, he doesn't have any contact with the Arabs on the construction site. "I realized we had to do our best for our country, try to build it ourselves, without the Arabs. They mustn't do anything. They should stay at home." Abu Khadit and Abu Ramzi, Palestinian workmen, talk about their schedules and the hatred of Israelis. "...Often after a day on the job site, I go back to find my home full of tear gas..."
"...The Jewish workman can do nothing for me since we're in the same boat, he too must work for a living, and so it's not his place to defend my rights." Guershom, the architect, a German man who converted to Judaism and became Israeli, designs sculptures and analyzes the situation as if he was not really a part of reality. "This entire country is a vast amusement park, American style. As long as we continue to mess about, to want to emulate America, as long as we make no effort to be a part of the Middle East and completely fit in, it will be a catastrophe." Khamis, the Palestinian worker, is busy constructing metal sculptures in the shape of flowers. "...This rose is firmly rooted in the earth, deeper than the others. And another thing : Every time a petal is torn loose, others appear, more solid than its predecessors. One day the wind will no longer break the petals and our rose will come to the sunlight like all the other flowers planted in this place..."
And Abraham the promotor, a carefree man, a Georgian multi-millionaire, who dreamed this project. An amusement Park, in the American style, called Israland. "We're building a paradise on earth here, and believe me, I'll go to heaven for building this paradise...We put here everything that's supposed to be in heaven. Flowers, gardens, landscapes, that's paradise. We're doing this, we're building it in this world already. In the American style... maybe not... I would love people to say “In Israeli style”, Israel, it is not worse than America." 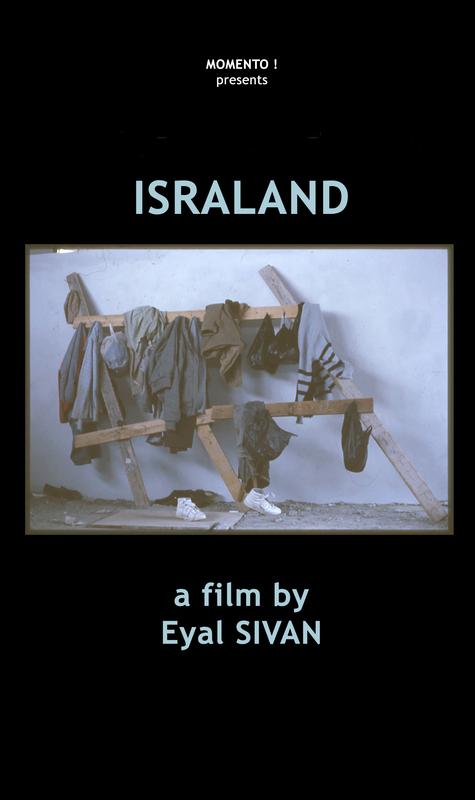 Le film Israland is a surreal metaphor on Israel or "Israel-Land", an enclave country; western enclave in the heart of the Middle East. The film is over, the construction is too. It opened after the Gulf war, under the name SUPERLAND. An uncompromising and surrealistic metaphor.